The Chopper was a previous build of mine that used Minifig skate (Design ID 18754) as the helicopter landing skids before this better solution, using the Black 3.2 Shaft Element, No. 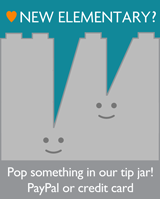 1 (Element ID 6226706 | Design ID 37494). The helicopter also utilises the 1x1 bracket, Medium Stone Grey [TLG]/Light Bluish Gray [BL] Plate 1X1, W/ 1.5 Plate 1X1, Downwards (6248078|36841). 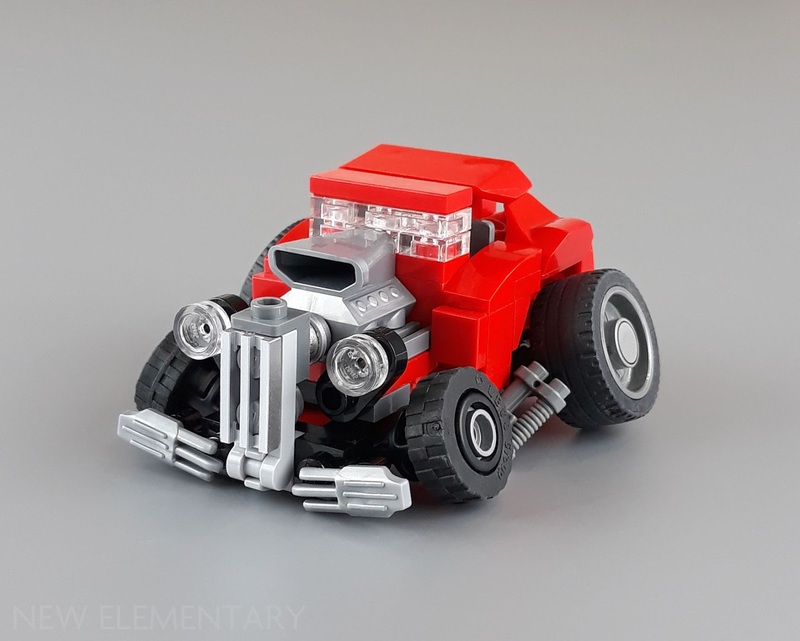 Weedeater is based on the heavily cambered cars that I've seen in drawings. This particular build uses a 5-wide body, with a number of 1x1 brackets for the chassis and front. The cambered wheels are attached by using Black Lamp, No. 1 (6227901|37776) as the axel connection and, as a result, they don't roll and are purely for display. Illumination is built using a combination of brackets and headlight bricks for the internal base. 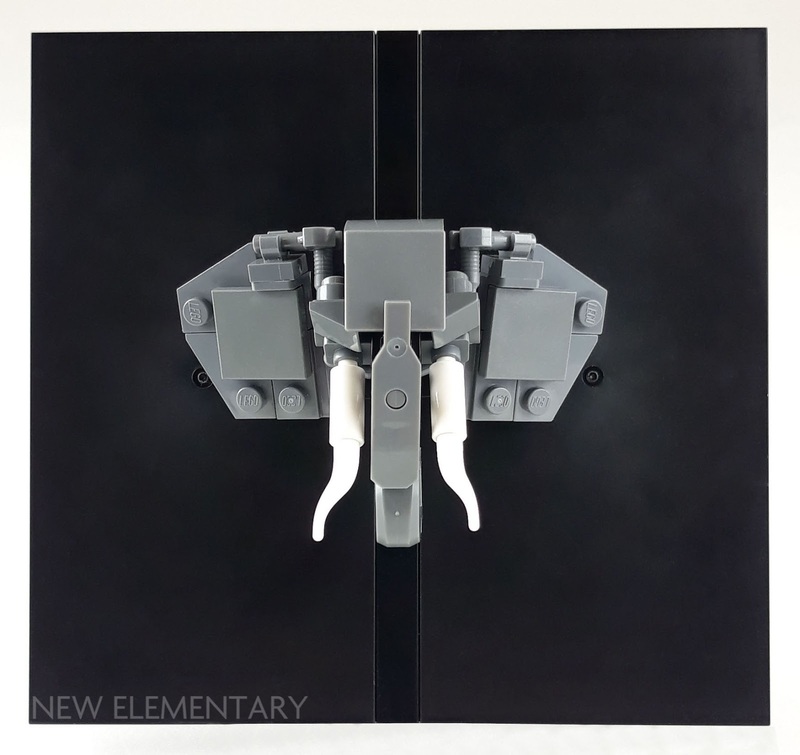 This allows the Black 'puppy ear' Design Plate 1X1, No. 1 (6231382|35463) to sit inverted and reasonably flush with the Black 1x1 tiles. When I made this it was going to be lit from the inside. However, getting the lighting right for this image was a real pain so I ditched that idea. It did look quite cool in a darkened room though. Philishave is based on a shaver I used to own. Apart from the new hubcap piece, Metallic Silver [TLG]/ Flat Silver [BL] Hub Cap, dia. 24, NO. 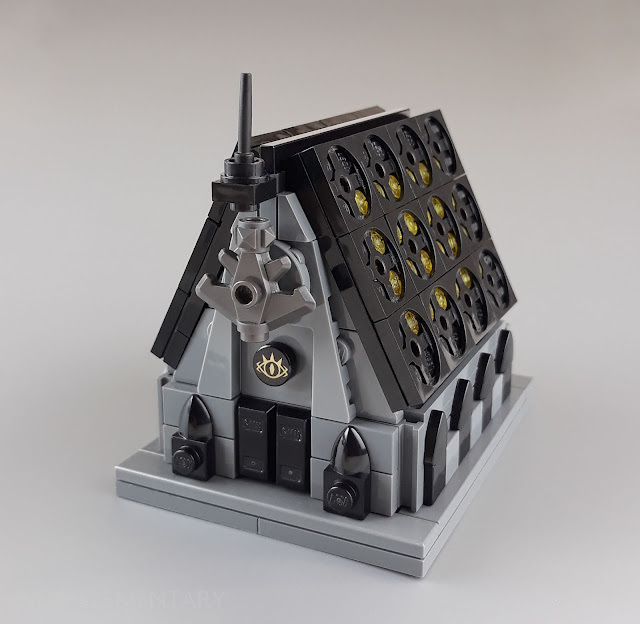 1(6227156|37195), everything else is built reasonably traditionally. 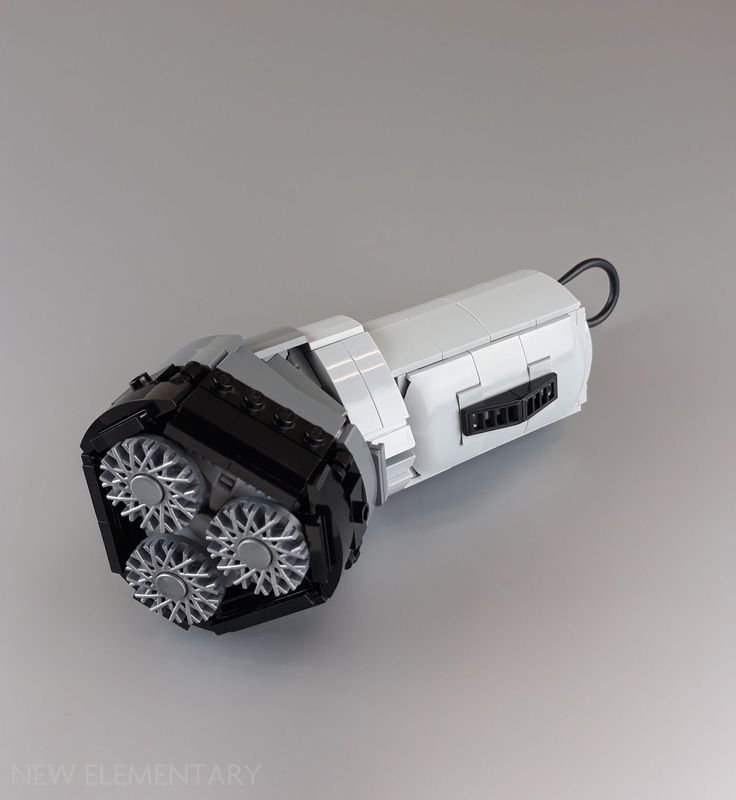 The triangular headpiece is attached to the cylindrical base using Technic axles into 1x2 bricks with axle holes. Elephant uses the new White Candle No.1 (6234807|37762) and more of the 1x1 brackets. This was a really satisfying build as it allowed me to use a variety of pieces in a small build. 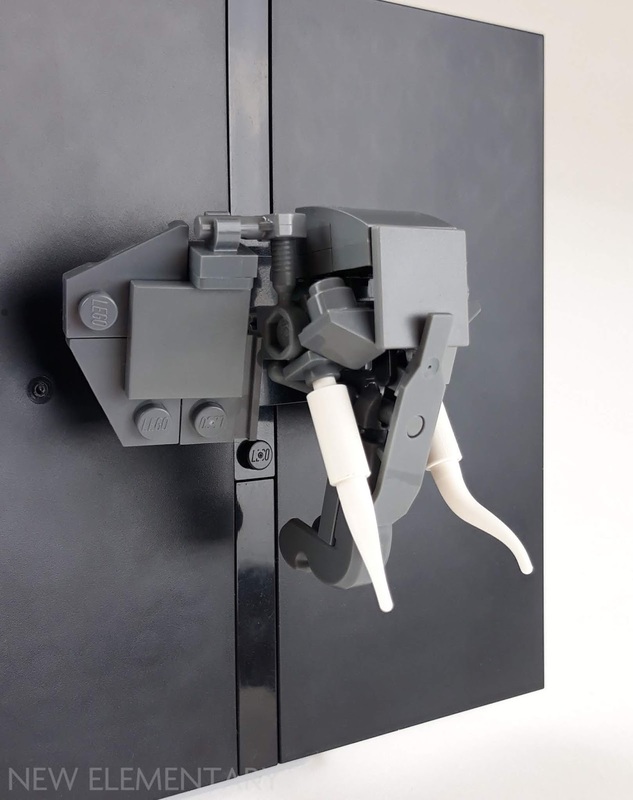 This side view shows how some of the pieces attach. 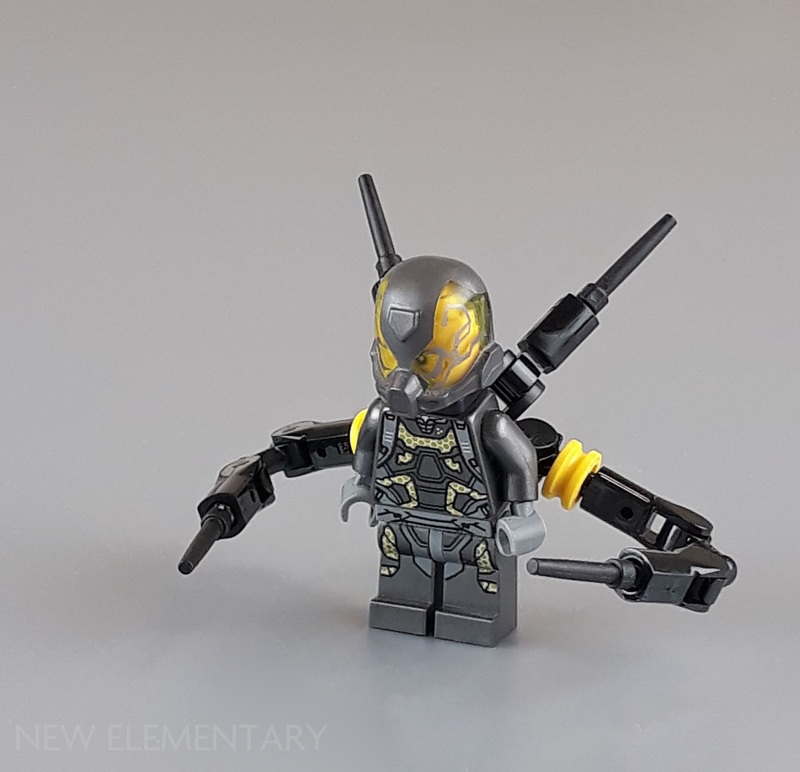 And finally, Yellowjacket isn't really a build, but a better representation (in my mind anyway) of the minifigure that was produced for the Antman movie. Black Wand on Sprue (6232209|36752) makes for better-articulated arms. 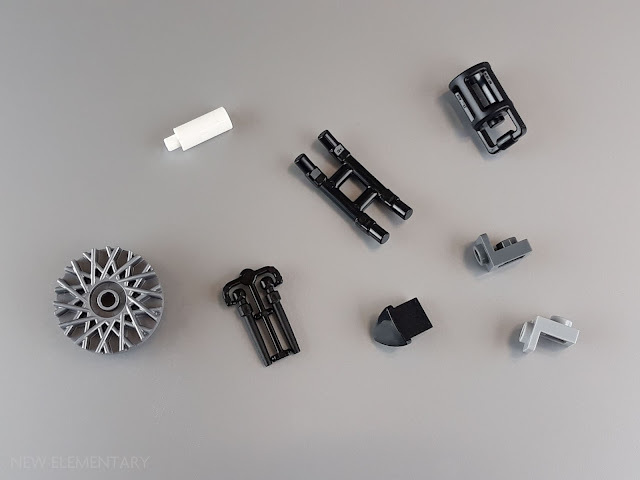 What a great variety of builds from Grantmasters to show what you can do with some of these elements, we were very happy he was able to take part in one of our parts fests for the first time. Next time we feature a German builder with an eye for detail, especially in the kitchen! The are some great ideas here! The helicopter is probably my favorite. Tim, have you checked your Flickr mail recently? If not, could you possibly do so?